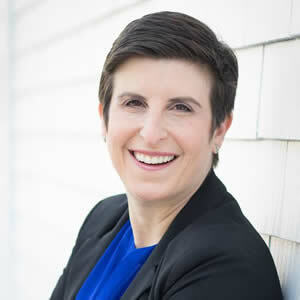 Lisa Fain is a knowledgeable, dynamic executive coach who blends technical expertise with a passion for creating better workplaces through inclusivity. Lisa helps HumanPoint clients create and cultivate diverse teams, fueled by her conviction that leveraging difference improves engagement, satisfaction, and bottom-line results. Aside from her experience with diversity and inclusion programs, her background includes work with employment law matters, mediation, and leadership development. Lisa believes strongly that the best leaders develop others and create an environment where everyone grows, so mentorship is a core competency she cultivates within her client organizations. Prior to her coaching career, Lisa was an executive at Outerwall, Inc., where she spearheaded the development and implementation of the company’s diversity initiative. She also served as in-house counsel there, partnering with executives and Human Resources to create organizational policy as the company scaled. Before that, Lisa was a practicing lawyer at a major multi-national firm, where she counselled employers on creating inclusive policies and practices. Lisa is also a certified mediator, which taught her how to build paths to resolution that leave all parties feeling that their needs and interests are satisfied, while helping people understand and proactively prevent conflict. Over her years of legal experience, Lisa developed great listening and diagnostic skills. She learned that when employers set up the structure, systems, and support to create better leaders, companies can prevent roadblocks and create a more engaging, better-performing workplace. Lisa’s corporate career gave her the realization that when team members feel welcomed, seen, and appreciated, they are compelled to share their best ideas. She then sought a coaching certification so that she could sharpen and share this path to team effectiveness through inclusivity. Lisa’s legal background helps her get to the root of an issue, her corporate background helps her get to the point, and her coaching experience helps her teach her clients how to work through those issues, or better yet, prevent them in the first place. Lisa feels that the essence of coaching is teaching people to let go of limiting beliefs to create a better reality. She helps successful people get put of their own way so that they can perform better and lead more effectively. Lisa directs her clients on a path forward, focusing on accountability, as she guides them to invest in their own growth to “play bigger.” Her knowledge, expertise, humor, and no-nonsense practical approach all help HumanPoint clients create the right environment to achieve organizational, career, and personal goals. Lisa holds a B.S in Social Policy from Northwestern University, and a J.D. degree from Northwestern University School of Law. She recently relocated to Seattle, where she enjoys hiking and exploring the Pacific Northwest with her husband and two daughters. She is CEO of the Center for Mentoring Excellence, where she founded Vista Coaching, a division that provides group coaching for professional women looking to design and live their best lives. Contact Us to Work with Lisa!